Comments: This oak has a deep tap root. Grows about 70 feet in height with bark cracked into rectangular black plates with narrow orange fissures. 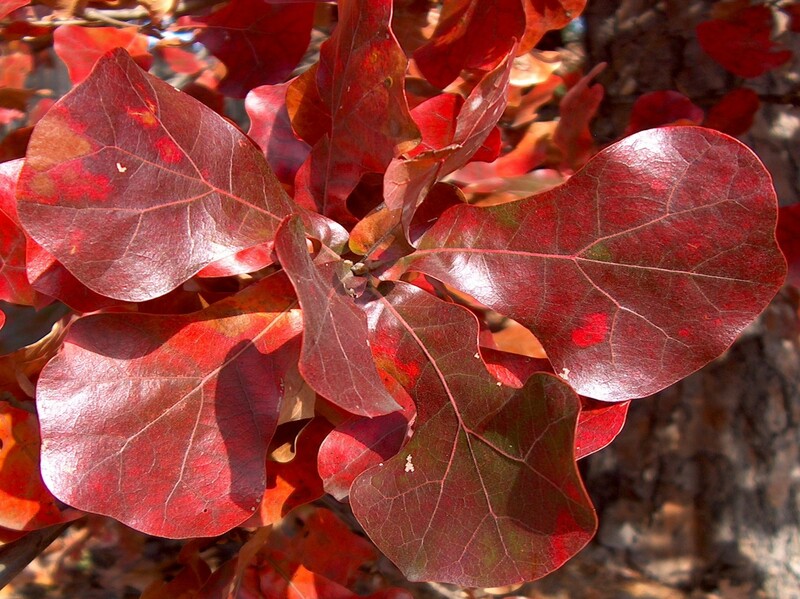 Blackjack oaks grow in poor, thin, dry, rocky or sandy soils where few other woody plants grow well. It is often shrubby with a low, rounded crown. In autumn the leaves may be brown, reddish-brown to a deep red. Its acorns are a source of food for wildlife.